3 Bedroom End of Terrace Cottage For Sale in Norwich for Offers in the region of £280,000. Situated in a tranquil location and close to the picturesque village of Little Melton, Cottage in the Hollow dates back over 200 years and the current owners have extended the property in the 1970s to create Dewpond Cottage. Set in mature grounds Dewpond Cottage has been sympathetically designed and kept in keeping with the original Cottage. Currently Dewpond Cottage has two double bedrooms with the benefit of the master being split into two if required. 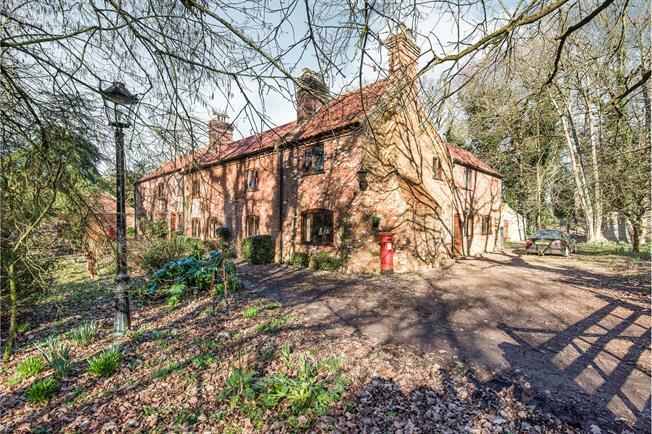 On the ground floor there is a wonderful living room with a feature inglenook and woodburner, dining room with stairs leading to the first floor and a kitchen/breakfast room with dual aspect views of the rear and side orchard. A particular feature of this property is the idyllic location with front aspect views of a Woodland and Pond which itself has lots of. Dewpond Cottage sits on a substantial plot to include an orchard and ample off road parking. There is also potential to build a garage or outbuildings.